Xiaomi is a household name when it comes to budget smartphones. From India to Pakistan, and from China to Europe it has grown in reputation tremendously. The company’s budget devices offer mind boggling value for the money. Devices like the Xiaomi Redmi 6 Pro are continuing to redefine our expectations when it comes to budget devices. And that is not all. Where on one hand Xiaomi is preparing to update its Redmi line of smartphones with the Redmi 7 series, on the other hand it keeps working hard to provide updated software to its current line up of devices. The latest of them all to receive the update treatment is the company’s budget king, The Xiaomi Redmi 6 Pro. The device, which is also known as The Mi A2 Lite in global markets, was released way back in July 2018. It has continued to receive major Android updates as well as the monthly security updates. After receiving the Android Oreo based MIUI 9 back in November 2018, the device is all set to receive the Android Pie based MIUI 10 in the coming months. As it turns out Xiaomi is already testing the closed beta of Android Pie based MIUI 10 for the Redmi 6 Pro in China. Now we know you want to get your hands on that tasty new update. So sweat not as some genius Android geek over at XDA has managed to grab the beta update and is ready to be downloaded and flashed. The software update under discussion is in beta and as such can contain numerous bugs and several features may be missing. So flash at your own risk. Flash the downloaded ROM and enjoy! Be sure to keep an eye out for the stable over-the-air update as it should be rolling out some time in the near future. And don’t forget to tell us how’s the update treating you in the comments down below. 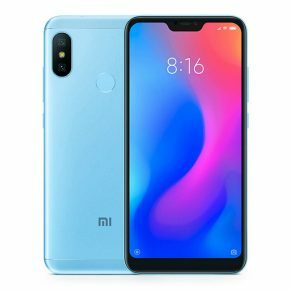 Previous articleXiaomi Pocophone F1: How To Get Android P?